Candy for your tree. 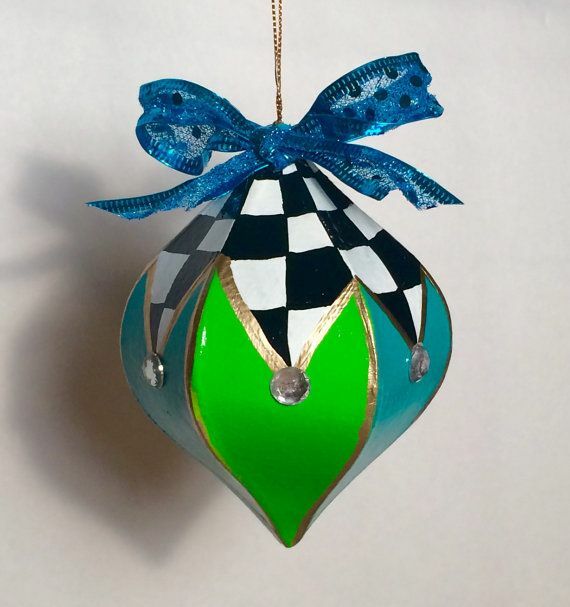 Amazing striped, checked, bunting with crystal ornament. Sealed to a glossy shine, this shatterproof ornament is adorned with a tasty shimmery turquoise bow.